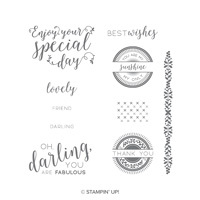 Stitched All Around Wood-Mount Bundle by Stampin' Up! 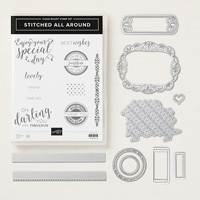 It's doilies galore with this stamp set. Just look at those stitched effects! Create delicate die-cut labels in record time with Framelits dies and the Big Shot. All the stitches a girl could want! Several versatile label pieces and a stitched texture piece that can be used to layer under a focal element make this set a must have. Edgelit pieces add a cross stitch or straight line stitching as a finishing touch to a project.